Renting an Audi in Marbella is all about experiencing cars that are designed to be technically perfect. Audi is defined by their motto “Vorsprung durch Technik”. 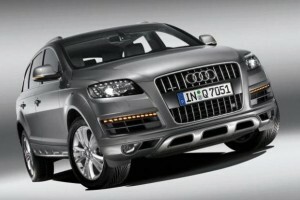 The classic 4 rings of the Audi logo has become the symbol of this advanced engineering. At Blue Sky Super Cars the only thing that you need to concentrate on is the sheer perfection of Audi and this ultimate driving experience. At Blue Sky our personalised car hire service is second to none and our Audi’s are immaculate. We can deliver the car and retrieve it from the location of your choice. We have a complete range of Audi super cars for rent, from the fabulous Audi R8, a head’s on competitor as one of the greatest super cars of all time, or the outstanding Q7, quite simply one of the most outstanding 4 wheels drives ever made. We also have the Audi S5, a combination of pure elegance and sheer power. 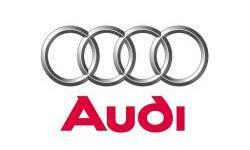 Audi’s logo is the classic 4 links. These stand for the almalgamation of 4 separate motor companies that joined together in 1932 for form what is known as Audi today: Audi, DKW, Horch and Wanderer. Audi has always been at the forefront of technology, the rotary piston Wankel engine for example of 1954 or the milestone of motoring engineering of 1980, the Audi Quattro which literally turned the Rally world upside down. It was first of a complete range of 4 wheel drive road cars from Audi that have proven themselves time and time again on and off track. The Audi Q7 is an outstanding 4 wheel drive car, whether it is cruising around Puerto Banus or taking it off road in the Sierras of Malaga. Or take the R8 and open it up on the Motorway to Malaga or through the fabulous bends of the mountain road to Ronda and the Ascari Race track. If you a looking for a combination of elegance and performance, the outstanding S5 4.2 litre V8 saloon. These are dreams cars and at Blue Sky Luxury Car Hire in Marbella our Audi rental packages can make this dream come true and our car rental rates are very competitive.